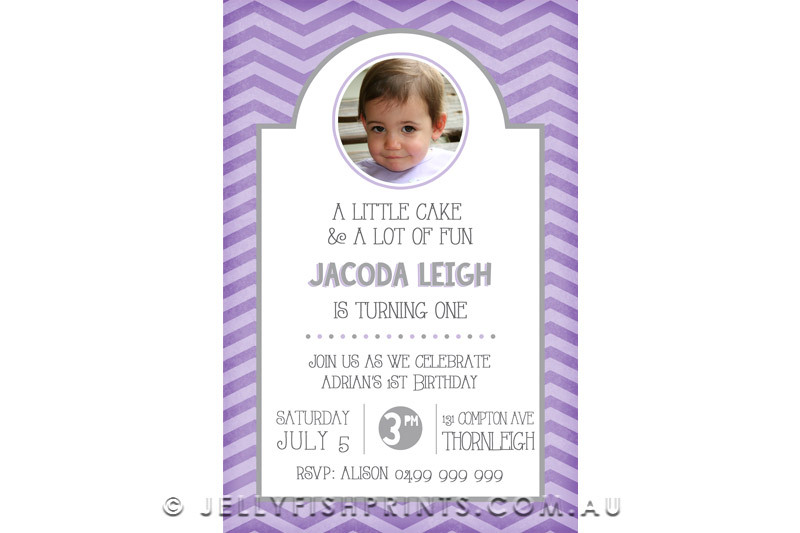 This sweet 1st birthday invitation design is perfect for your child’s important milestone party event. 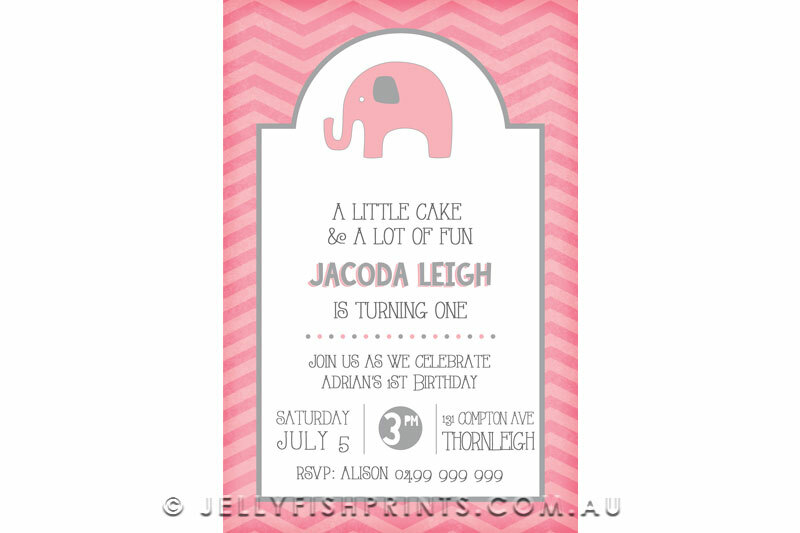 Printable design for you to make as many invitations for your guests as you need. Available in four different colour tones or you can choose your own colour. A little cake and a lot of fun. 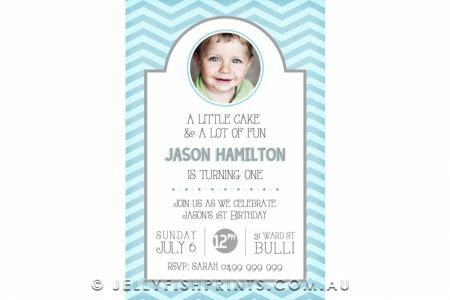 Have lots of fun with this 1st birthday invitation, it has the popular chevron pattern (aka zig zag pattern) for the background. A nice crisp white frame will hold your party information and extra wording if required. A photo of your little one will be featured at the top of the invite set in a circle frame. You can choose not to use a photo, just let us know in the photo area of the form. We can substitute the photo for a lovely elephant motif. 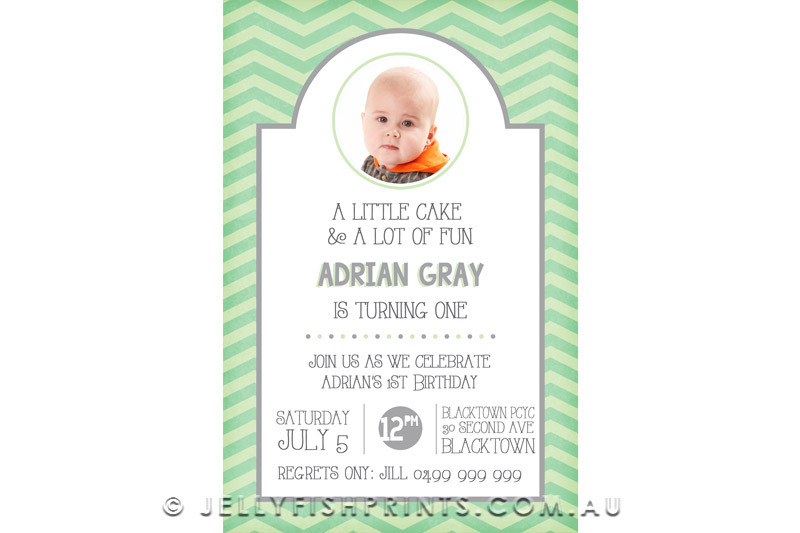 Although designed with a First birthday in mind, this invitation will suit any childs birthday age. The samples of this invitation come in four colors. Please advise us of any colour changes in the Extra Information section. Your purchase will also include a free thank you card to give or send to your party guests. This printable card will be the same size as your invitations. 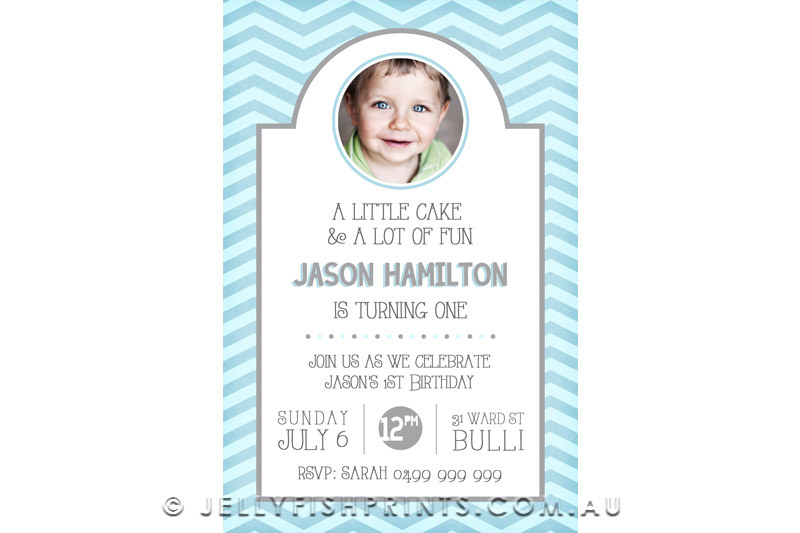 You will receive a customised “print it yourself” digital invitation JPEG file as well as a free Thank You card. Emailed to you and ready to print at your local photo lab or on your home printer. You will also receive a free Thank You card with the matching theme.